Devra Martinez, Director of Operations, leverages her keen knowledge of the real estate development process to collaborate with Knightsbridge Park clients and bring their marketing vision to life. In addition, Devra manages operations to guarantee that every client benefits from a seamless working relationship. 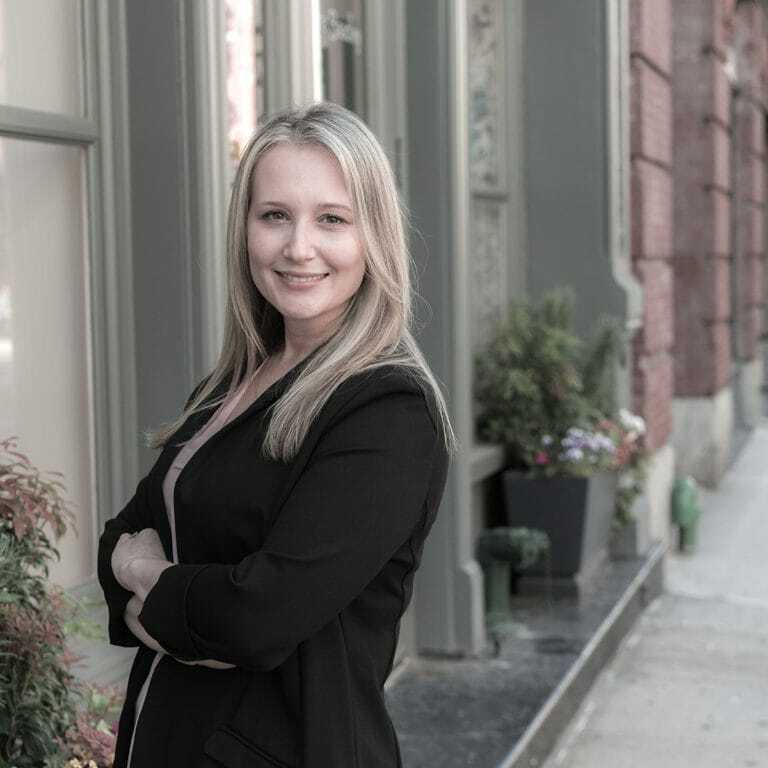 Devra came to Knightsbridge Park with a stellar background in real estate development marketing that includes four years of leading marketing efforts for Gotham Organization, one of New York’s longest-standing developers. At Gotham, Devra oversaw a marketing portfolio of more than 5,000 homes, including the 1,238-unit rental complex Gotham West, one of Hell’s Kitchen’s most highly sought-after luxury properties. Prior to this, Devra promoted luxury residential developments at Corcoran Sunshine Marketing Group.